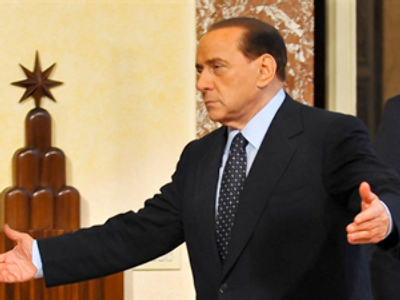 Italian Prime Minister Silvio Berlusconi is supporting calls for the EU to provide financing for Ukraine’s gas transit needs, saying he will submit a proposal to the Council of Europe to cover part of Ukraine’s costs. Speaking on Thursday at the National Assembly of Entrepreneurs the Italian leader was emphatic on the need for Europe to step up its involvement in the Ukraine gas transit issue. "Russia says it cannot provide five billion to fill gas storages in Ukraine (in order to ensure normal transit to Europe). That's why I call on Europe to share expenses. At the next session of the Council of Europe I'll offer this to the Russian Federation. So, Europe wants to take part of this problem upon itself." The comments come after Gazprom has warned that unless Europe and Russia work together to head off a repeat of the January gas transit issues which have plagued Russian shipments to Europe in recent years. Russian President, Dmitry Medvedev, proposed that Europe and Russia work together on addressing Ukraine’s ability to fund an estimated $4 billion worth of gas which needs to be pumped into storage before next winter, at a meeting of senior European and Russian leaders on May 22. 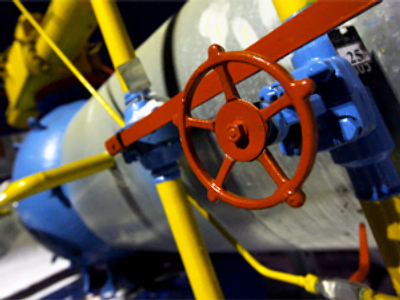 Ukraine's issue with Russian gas deliveries will be raised at the summit of 27 EU countries, scheduled for mid June. Former German chancellor Gerhard Schroeder – who chairs the supervisory board of the proposed Nord Stream pipeline – thinks Ukraine’s financial situation is weak and that it needs outside investment into its pipeline network.